There are 1 cat videos tagged with hedgehog. 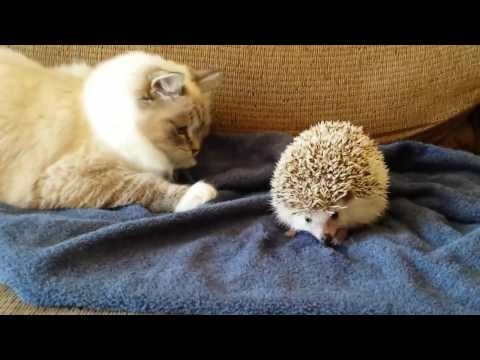 This eight month-old ragdoll cat gets quite the surprise when she sits on a hedgehog. Lucy is a 15 month-old African pygmy hedgehog who defends herself well against this big fluffball, Lucy.